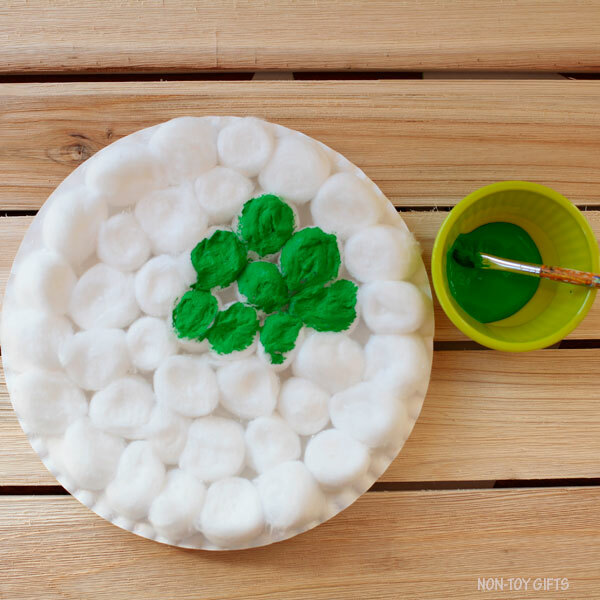 Have you ever used cotton balls in your crafting? If not, give it a try! 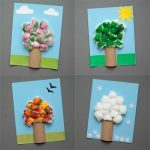 We first used them to create four season trees. The cotton balls represented the leaves. They were painted (or not) to reflect each of the four seasons. 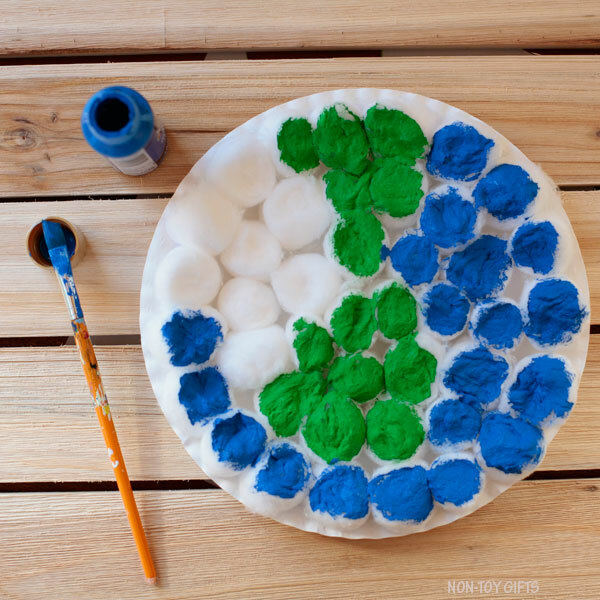 We decided to use cotton balls again to create our Earth. 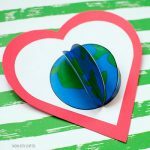 So we came up with a cotton ball Earth Day craft. 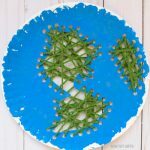 Paper plates are great to use when making crafts for Earth Day. They are round just like the Earth and sturdy material. 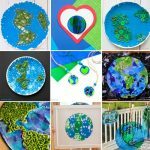 Our paper plate Earth Day crafts range from super easy ideas for toddlers to ones that combine painting with yarn threading. Kindergartners and older kids will particularly find the sewing crafts interesting. 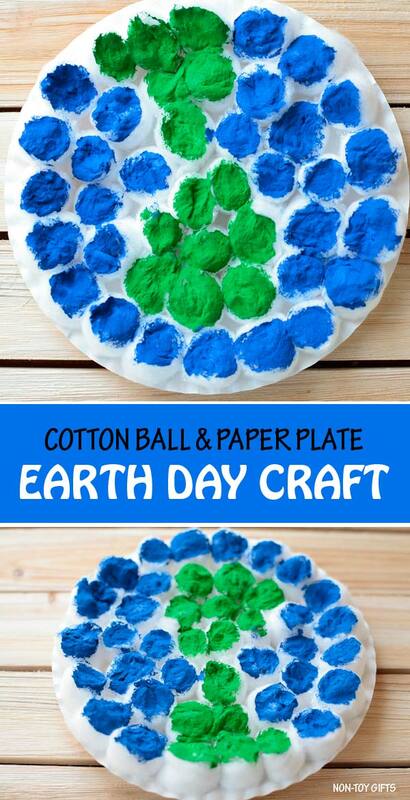 Start by gluing cotton balls onto the paper plate. Considering this step involves a hot glue gun, the gluing should be done by an adult. In case your child wants to glue the cotton balls, you can hand her/him a low temp glue gun. 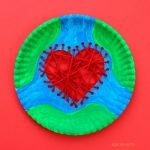 Another alternative would be to use regular glue but in this case you will have to set the paper plate aside for the cotton balls to be completely stuck to the paper plate. Otherwise when trying the paint them, they won’t stay in place and this could be frustrating for kids. Hand green and blue paint to your child and let her/him paint the cotton balls. We used a paintbrush but a sponge brush would also work very nice. 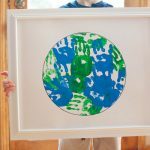 For younger kids who don’t mind getting messy, they can use their own fingers to do the painting. 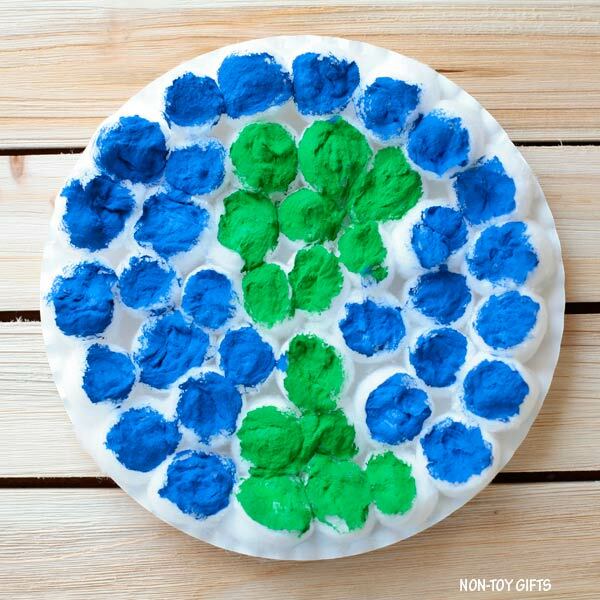 For more easy crafts for kids, check out our collection of 100+ craft ideas. 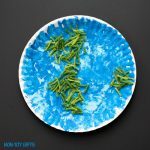 Make a paper plate and cotton ball Earth to celebrate Earth Day with kids. 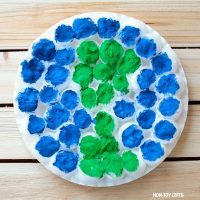 Another alternative would be to use regular glue but in this case you will have to set the paper plate aside for the cotton balls to be completely stuck to the paper plate. Otherwise when trying the paint them, they won't stay in place and this could be frustrating for kids. 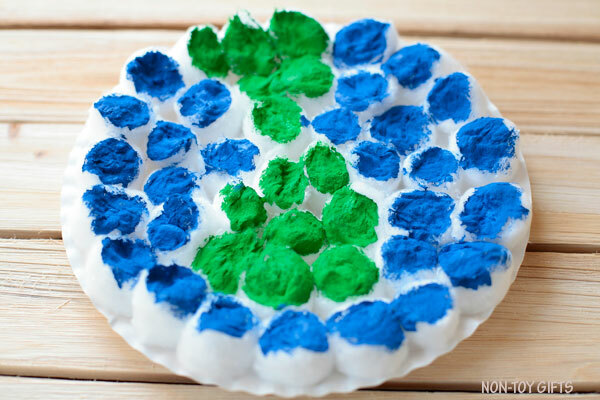 Hand green and blue paint to your child and let her/him paint the cotton balls. We used a paintbrush but a sponge brush would also work very well. For younger kids who don't mind getting messy, they can use their own fingers to do the painting.